The FAA demands the world’s highest and strictest standards for training aviation professionals. The training our grads receive not only meets, but exceeds these standards. We are proud of the technicians we have placed through the years with companies all over the world. The Combination Welding Diploma Program offers many opportunities if you enjoy working with your hands, machines and metals. Hands-on training will allow you to develop the basic manipulative skills involved in welding and flame cutting, and classroom instruction covers welding theory, shop prints and blueprints and more. When you graduate, you will be prepared to take the test for the Welding Certification from American Welding Society (AWS) 3G-4G. The Heating, Ventilation, and Air Conditioning (HVAC) program will prepare graduates for entry level positions within the HVAC industry. Students will receive practical hands-on instruction in Air Conditioning, Heating Systems, Residential and Commercial Refrigeration, Heat Pumps, Hydronics and many other areas. The mission of the program will prepare the student with the skills and aptitudes necessary for a meaningful entry level position in the HVAC industry. The student will learn mechanical and electrical applications in residential and light commercial Heating, Ventilation, Air Conditioning, and Refrigeration (HVACR). They will develop skills in preventive and corrective maintenance for residential heating and cooling systems and calculate cooling and heating demands for residential applications. 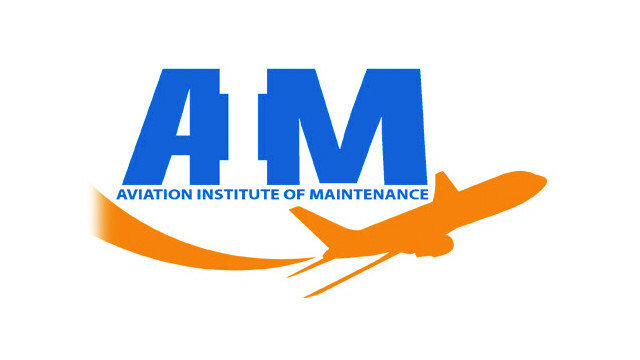 If you already have some training or experience in aircraft maintenance or electronics repair, Aviation Institute of Maintenance's Avionics Technician Program is that perfect next step. The Avionics Technician Program is designed to prepare you for career opportunities in aircraft electricity or aviation electronics systems, troubleshooting and repair. If you do not have previous aircraft maintenance or electronics experience, consider the AMTE program, which is designed to provide the fundamental skills for Airframe and Powerplant maintenance, as well as specific skills and knowledge required for employment in the avionics field. The Aviation Maintenance Technician (AMT) program is designed to provide you with the knowledge and skills to excel as an aircraft mechanic. This training prepares you to pass the Federal Aviation Administration (FAA) test to become a certified Airframe and Powerplant Technician for employment in aviation maintenance. You are trained to service, repair, and overhaul aircraft components and systems, including the airframe, piston engines, turbine engines, electrical systems, hydraulic systems, propellers, instrumentation, warning and environmental systems. FAA Approved A&P School. Accredited School, ACCSC. AIM Chesapeake and Manassas campuses are Certified to Operate by SCHEV. AIM Las Vegas campus is licensed to operate by the Commission on Postsecondary Education. AIM Indianapolis is regulated by Office for Career and Technical Schools 10 N Senate Avenue, Suite SE 308 Indianapolis IN 46204 OCTS@dwd.in.gov 317-234-8338 or 317-232-1732 http://www.in.gov/dwd/2731.htm. For Consumer Information, visit www.AviationMaintenance.edu.